It hardly ever happens that I have to laugh out loud just reading the first entry in a book: “Wahnsinn - Metallica in der Schleyerhalle – mir fetzte es die Ohren weg” (“Insane – Metallica in Schleyer-Hall – my ears got ripped off”). Only a few pages further another headline insists that “Tomaten lieben Rockmusik” (“Tomatoes like Rockmusic”). Incredible! Do you still remember „Mumpitz, Murks und Stilblüten“, Rock Hard Magazine? Exactly. 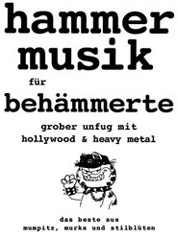 Doktor Hammer alias Matthias Breusch, former RH editor, presents a “Best Of” on more than 200 pages: Weird cliches regarding Metal, satirical but authentic texts and pictures, spiced with Breusch´s snappy comments and treasures from his private archive. Most material is from 1990-2005 but some backdates to the early 80s. Wonderful, you´ll roll on the floor laughing, a MUST for every Metalfan!! Maximum points!!! 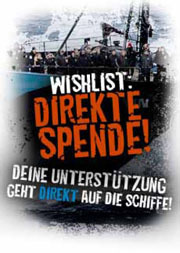 Unfortunately, this book is only available in German language.